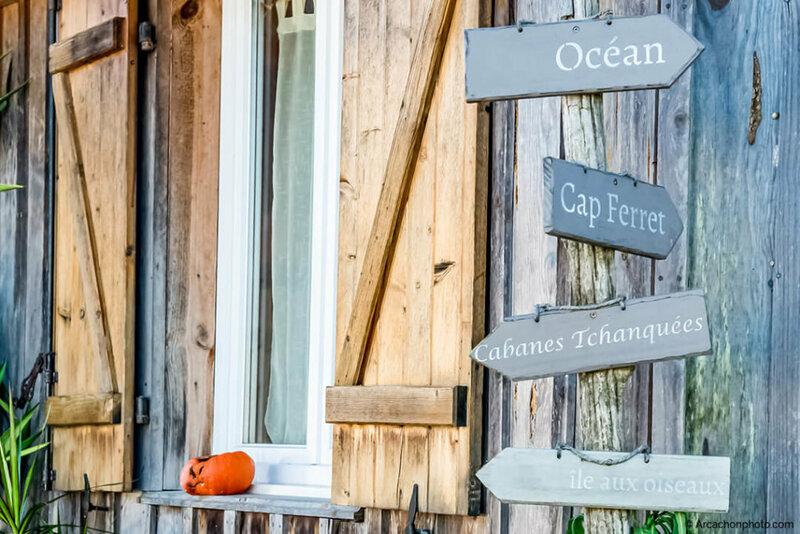 Welcome to Le Verdot ! 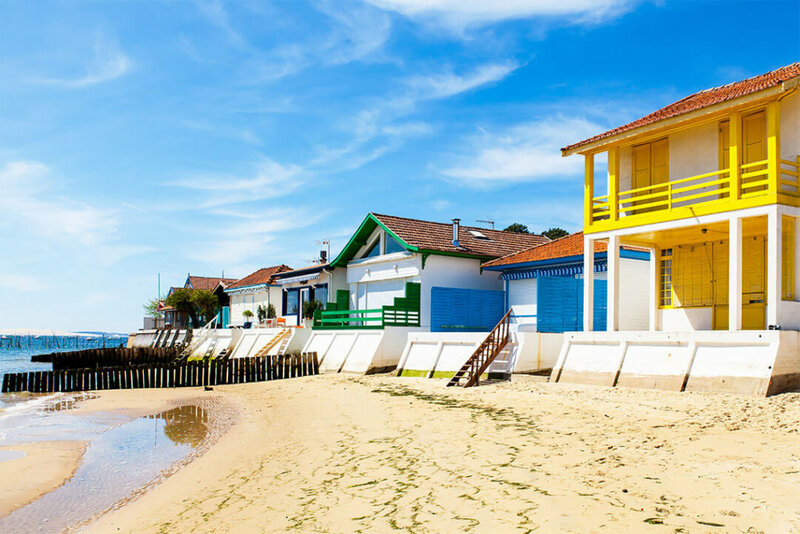 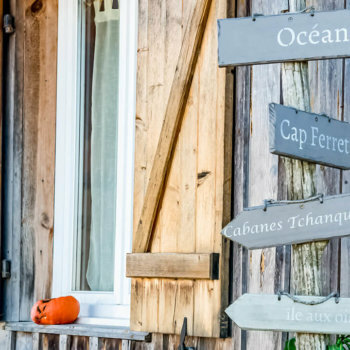 Le Verdot Residence is ideally located in the heart of Cap Ferret near le port de la Vigne and very close from plenty shops, bars and restaurants. 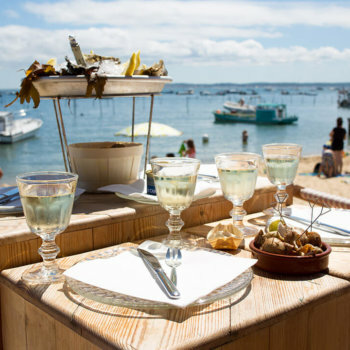 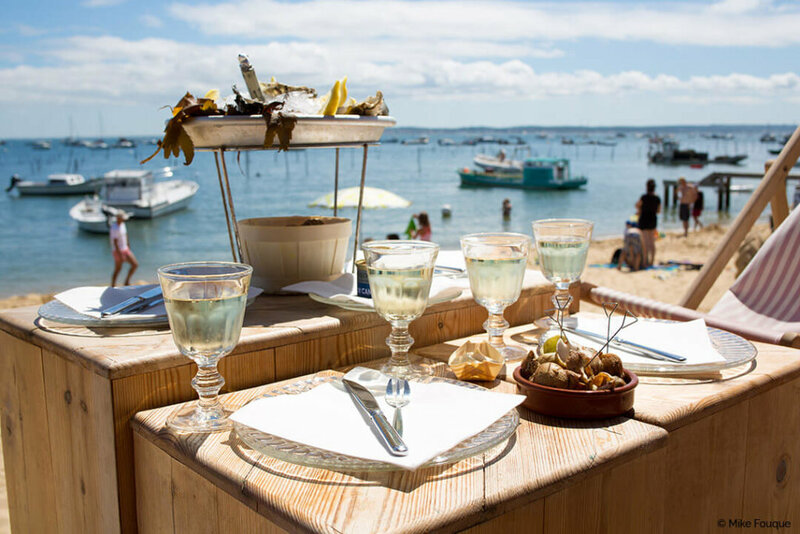 The place is served by nautical shuttle you can take very easily to reach Arcachon and La Dune du Pilat. 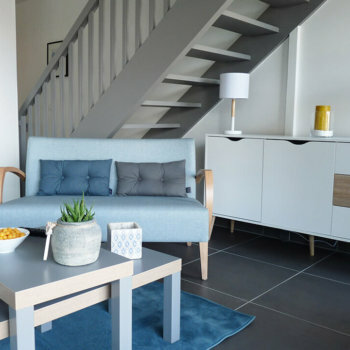 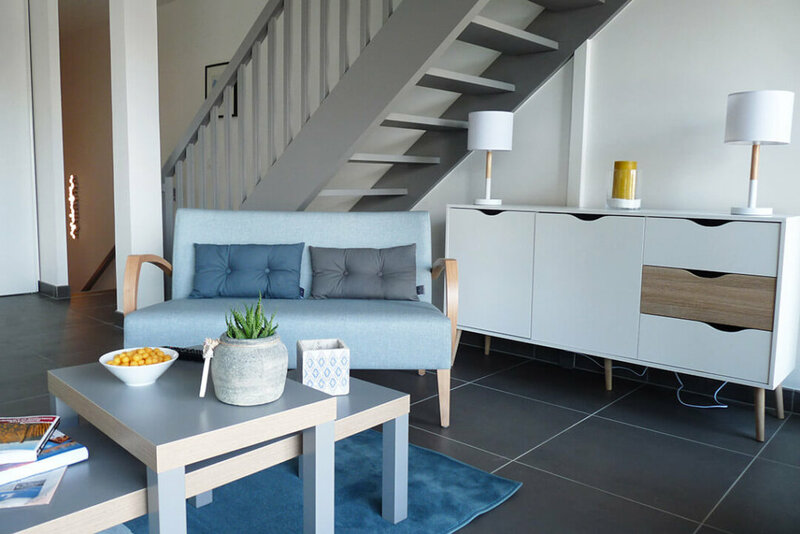 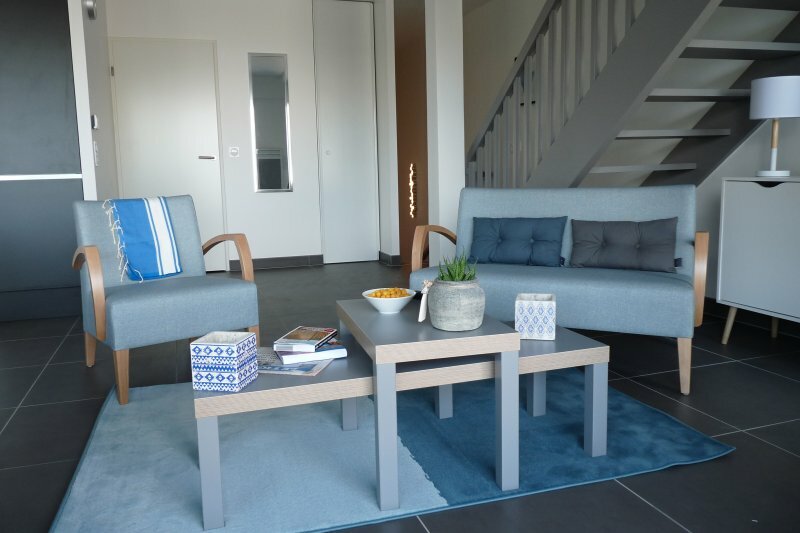 The residence offers 9 apartments from T2 to T4 duplex with parking places or garages; apartments are very cozy and fully equipped, with the WiFi connection. 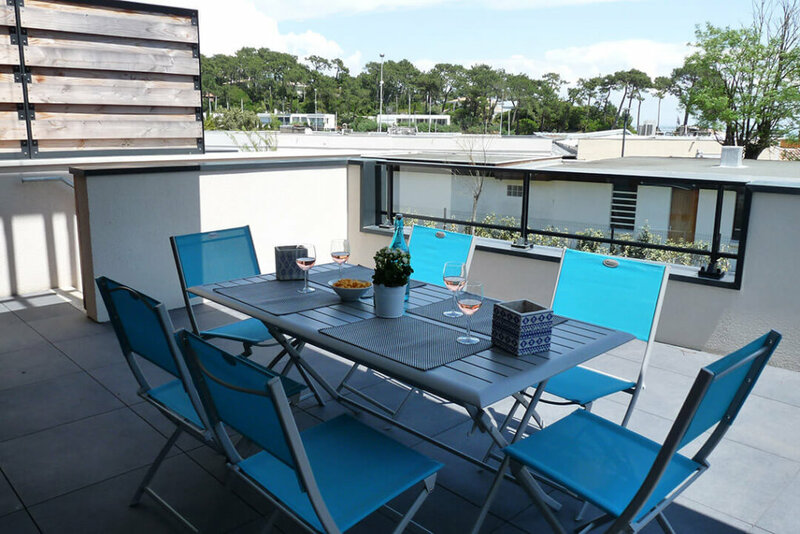 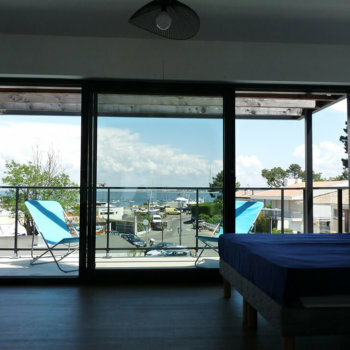 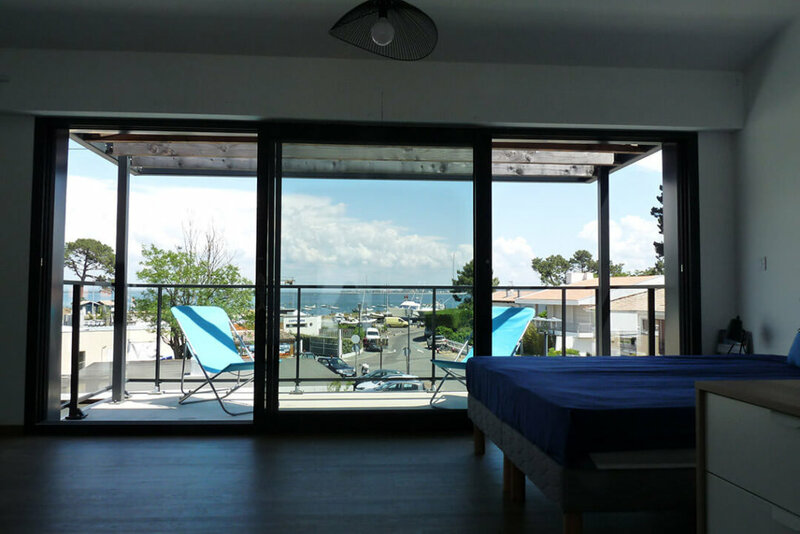 Some of them even offer big terraces with an amazing view on Le Bassin d’Arcachon. 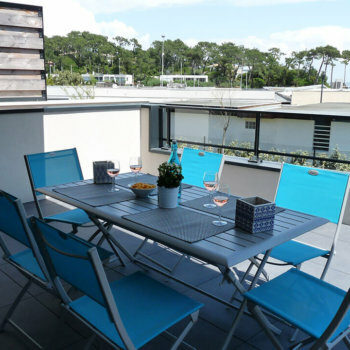 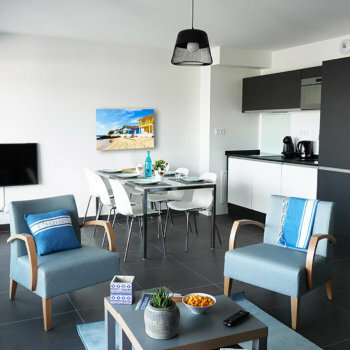 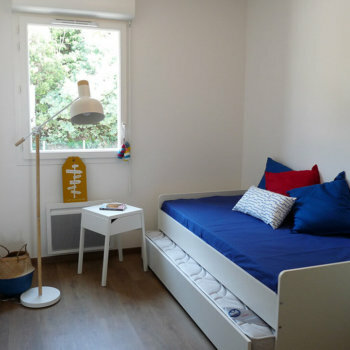 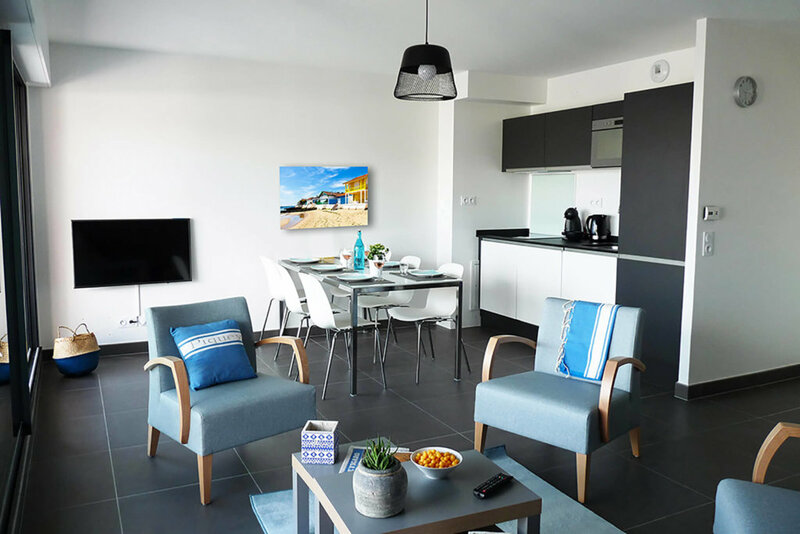 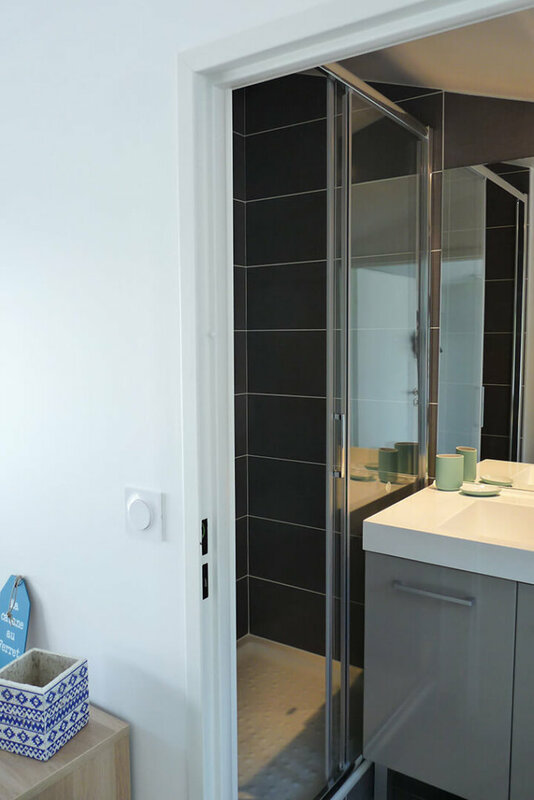 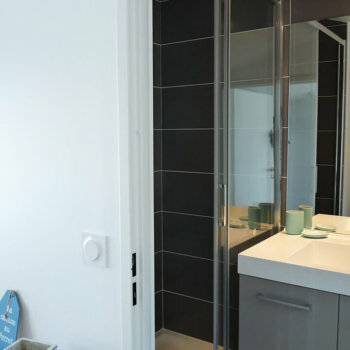 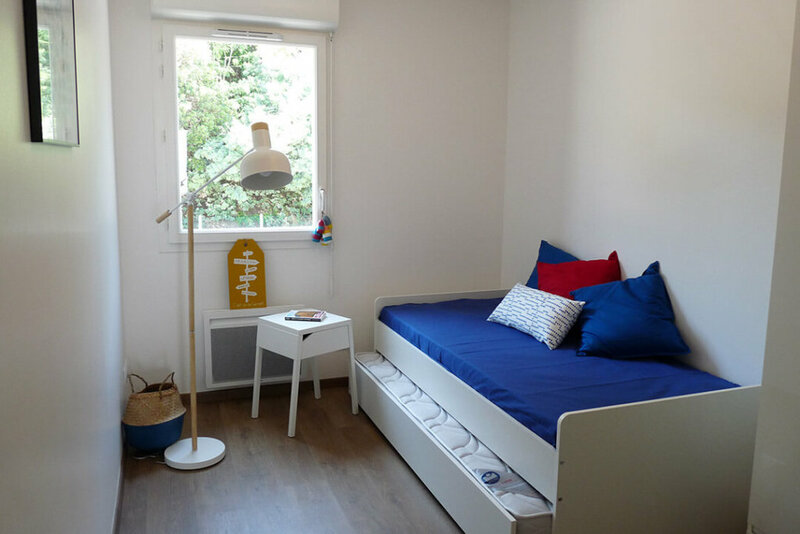 Tenants could also rent bikes through the reception of the residence to ride with their friends or family among the beautiful peninsula of Cap Ferret. 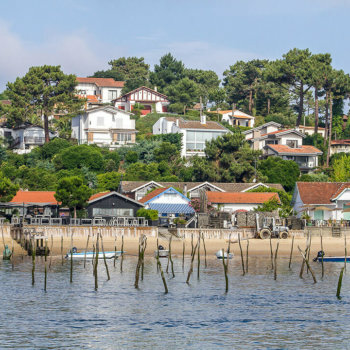 FROM THE ARCACHON TRAIN STATION 78.6 km: take a taxi-boat or shuttle UBA Bassin d'Arcachon to get to Cap Ferret in a few minutes. 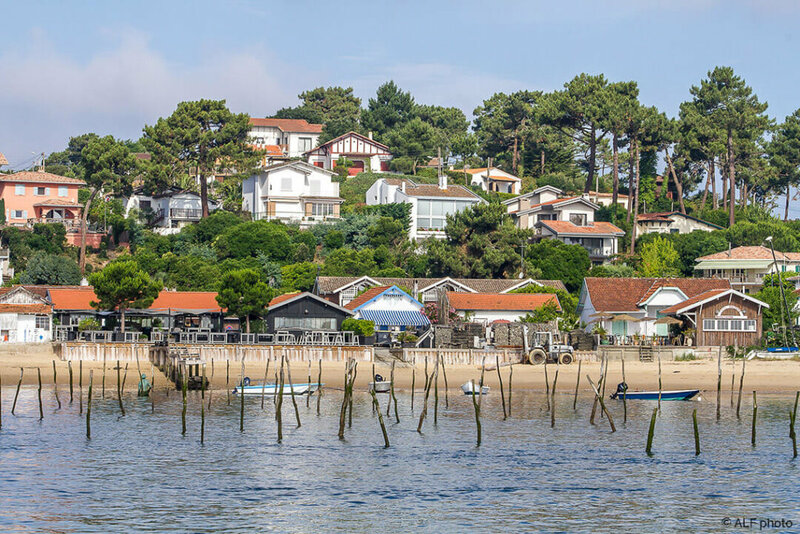 FROM THE BORDEAUX TRAIN STATION 84.1 km: follow the D213 and D106 to reach the Cap Ferret. 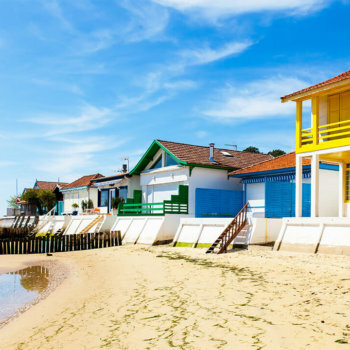 FROM THE BORDEAUX-MÉRIGNAC AIRPORT 66.8 km: follow the D106 to reach Cap Ferret.